Note: this taxon list is still under construction. It does not yet contain all known Rutelinae subgroups. Jameson, M. L. 2002. Scarabaeidae Latreille 1802: Rutelinae MacLeay 1819. 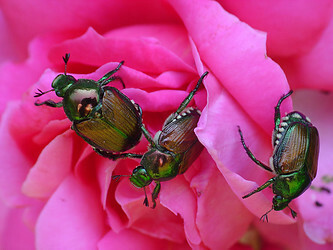 Chapter 34-IV in American Beetles. Volume 2. R. H. Arnett, M. C. Thomas, P. E. Skelley, and J. H. Frank, eds. CRC Press, Boca Raton, 861 pp. Jameson, M. L. and S. J. Hawkins. 2005. 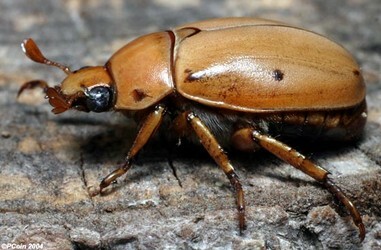 Synopsis of the genera of Geniatini (Coleoptera: Scarabaeidae: Rutelinae) with an annotated catalog of species. Zootaxa 874: 1-76. Jameson, M. L. and M. A. Morón. 2001. Descriptions of the larvae of Chlorota cincticollis Blanchard and Chasmodia collaris (Blanchard) (Scarabaeidae: Rutelinae: Rutelini) with a key to the larvae of the American genera of Rutelini. Coleopterists Bulletin 55(3):385-396. Jameson, M. L., A. Paucar-Cabrera, and A. Solís. 2003. Synopsis of the New World genera of Anomalini (Coleoptera: Scarabaeidae: Rutelinae) and description of a new genus from Costa Rica and Nicaragua. Annals of the Entomological Society of America 96(4):415-432. Micó, E., M. A. Morón, and E. Galante. 2003. New larval descriptions and biology of some New World Anomalini beetles (Scarabaeidae: Rutelinae). Annals of the Entomological Society of America 96(5):597-614. Paucar-Cabrera, A. 2005. A catalog and distributional analysis of the Rutelinae (Coleoptera: Scarabaeidae) of Ecuador. Zootaxa 948: 1-92.